When one undertakes the trekking expedition on Pin Parvati Pass trek, he/she gets the opportunity to transcend from the greenery of the Kullu valley and emerge in the dry deserts located in the Spiti valley. During this, 11 days trekking expedition, the participants not only, gets the opportunity to enjoy the majestic beauty of the surroundings, but also get the chance to the experience the lifestyle as well as the culture of the different communities which are inhabiting the regions of Himachal Pradesh. One will also experience the vast transformation in the religious beliefs as well as practices as one moves from Kullu to Sipti; Hinduism is the predominant religion in Kullu, whereas one can see the vibes of Buddhism as one moves towards Sipti. This transition acts as a source of fun and thrill during the trekking expedition. The history of the Pin Parvati Pass trek is not known to all. This trail was first used by the local shepherds and then by the Britishers to invade the Sipti valley. By using this trail, the Britishers were able to reach Sipti from Kullu in very less of time. Till 1993, this route was not opened for the purpose of trekking. It was after the state of Himachal Pradesh took efforts for the promotion of the Kullu Himalayan National park, that the trail was opened for trekking. There are a number of points on the Pin Parvati Pass trek that are considered sacred by the locals. The most significant of these are, the meadows of Khirganga which is believed to be point of meditation of Lord Shiva and the hot sulphur springs situated in Parvati Kund which is said to have the healing properties. Another sacred spot if Malatai Lake that has an open Shiva temple. Two natural bridges are situated on the river Parvati which are dedicated to Pandavas. 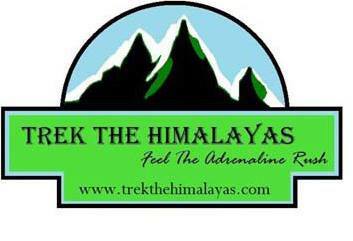 The picturesque beauty of the trek wrapped in the challenges which the trek brings, makes this trek one of the most trekked high altitude treks in the Himalayas. Thus, a number of trekking enthusiasts from round the world visit this trek each year for trekking expedition. Small temple of lord Shiva at Mantalai Lake, from temple campsite is 45 minutes far. Max Altitude :- 17,500 Ft.
Approx Trekking Km :- 110 Kms. 2. Meals while on trek (Veg.). 3. Transport till road head and return. (Kullu to Barsheni and return to Manali). 5. One night accommodation in Kaza on Day 10 (As per itinerary) twin/triple sharing. 2. Porter to carry personal luggage.